I couldn’t let the year get started without completing my vision board. 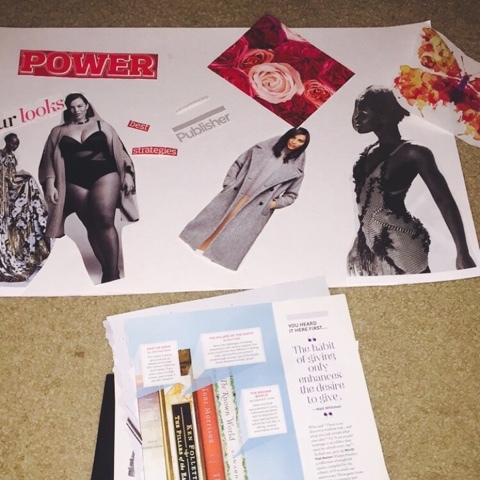 I’ve completed three vision boards in the past. I’ve always been invited to other people’s vision board parties. This year I decided to host my own! 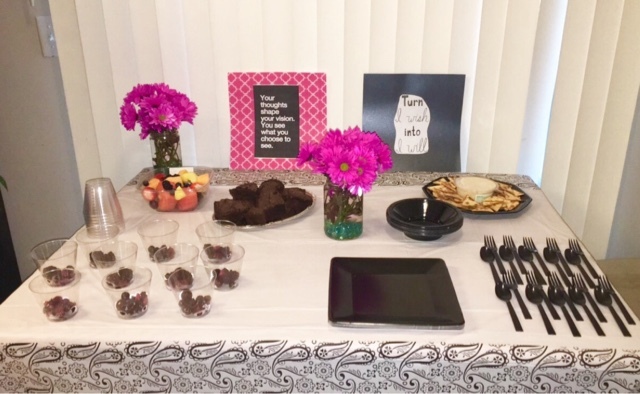 Below, I give you some tips and tricks for hosting your own vision board party. Let’s get started! 1. Dollar Tree is your FRIEND! 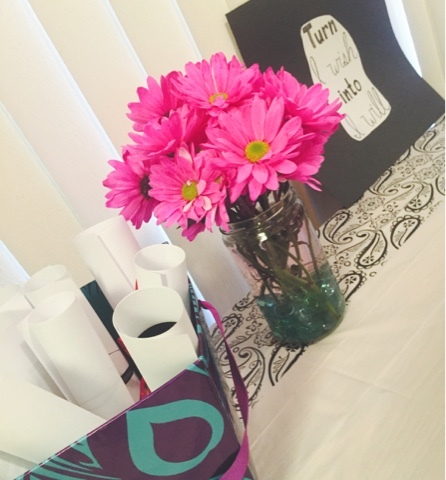 – I purchased most of my crafting supplies from dollar tree. I invited my guests to come to my home. They didn’t need to bring a thing, but their dreams. So, I went to dollar tree to purchase glue-sticks, markers, glitter, and even the containers to hold everything. 2. 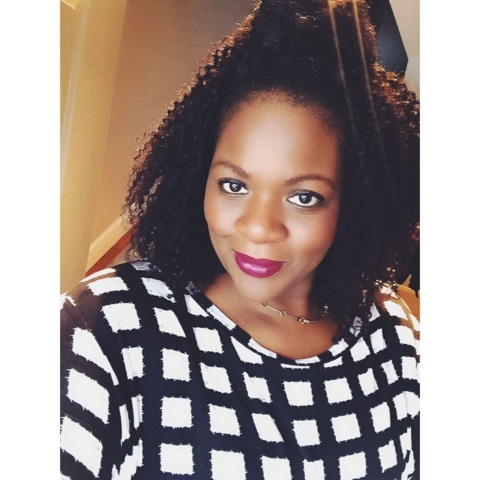 Develop a color scheme and a menu – Since my event was a girls only affair, I went with the color scheme of pink, black, and white. I picked up some pretty flowers from the supermarket. My table setting came from Dollar Tree. 3. 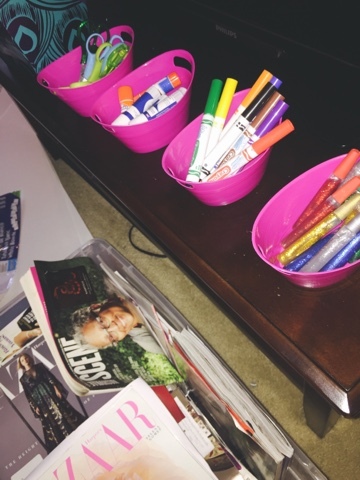 Set the mood – Very rarely do adults have time to be calm, quiet, and create. Make sure you have a chill playlist, comfortable temperatures, and soft spaces for your guests to create their boards. I created a Spotify playlist with my fave 90’s & 2000’s r&b jams. My guests were grooving and chilling letting their dreams come to life. 4. Don’t forget about you! – Once you get your guests situated, start your board too. This is not the time to stress. Just as you’ve created a space for your guests to chill, you need to chill and create as well. Here’s my finished project. My goals are combo of having great friendships, great business relationships, better style, and a great love life! Plus, I LOVE the style of my board. It just LOOKS gorgeous. It’s my favorite thing to look at when I wake up in the morning. I always post my board in my bathroom. 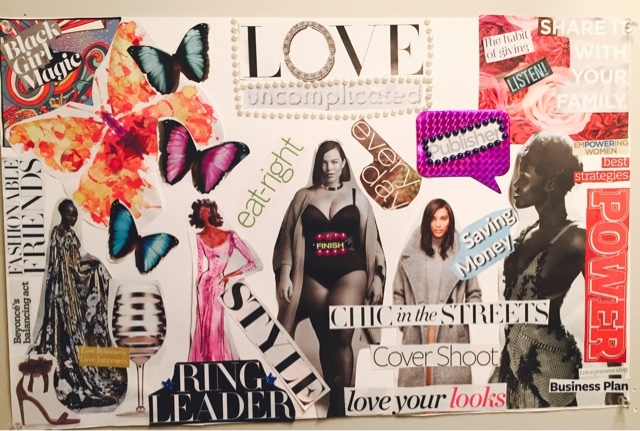 Vision Boards have helped me stay focused on my goals. 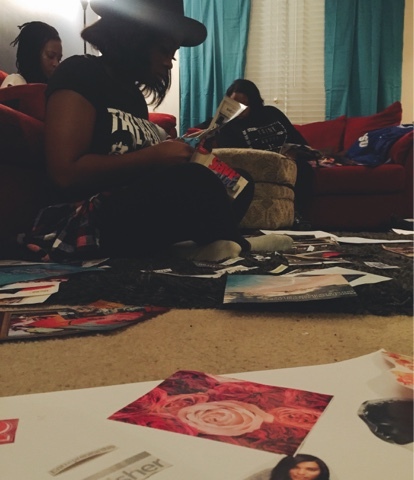 So, have you hosted a vision board party? 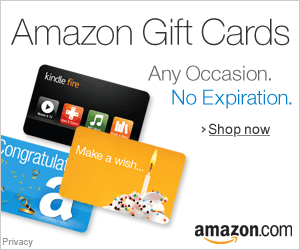 Have you created a board? Let me know in the comments below. Sis, your vibe is extra cool! Thanks for the awesome tips!